I was looking at your web site and came across an article written about a Paul James. I and my wife and daughters met a Paul and Lindy James whilst we were holidaying in Fiji in 1981. Paul and Lindy were on their honeymoon. We consequently invited them to our home in New Zealand and struck up a friendship such that we stayed with them at Moss Beach near Halfmoon Bay a couple or so years later. We had a wonderful time and I remember going to a small café called Joanne’s Pantry where we were introduced to Eggs Benedict for the first time also visiting a small shop ‘Twice as Nice for Half the Price’. We also went to a Rodeo for the first time. Then unfortunately over the years we lost touch with them. The coincidence with your article is that Paul was a boat builder by profession and had an oyster boat out in the Bay which he was restoring. He also showed us an ornate timber house he had built in a Victorian style which seems to match with your article. His wife Lindy was very keen on horses and I think she eventually had a small ranch just outside Halfmoon Bay somewhere around Pacifica. Pauls Mother and Father lived in Pacifica. 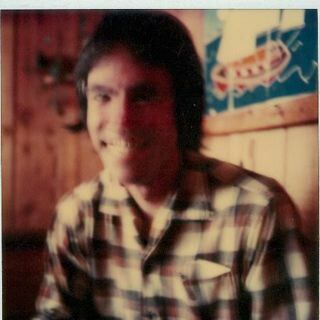 I don’t want to put you to any trouble but as we are contemplating coming to San Francisco in the near future we would dearly like to meet up with Paul and Lindy again and if I am correct in my assumptions can you put us in touch with them. 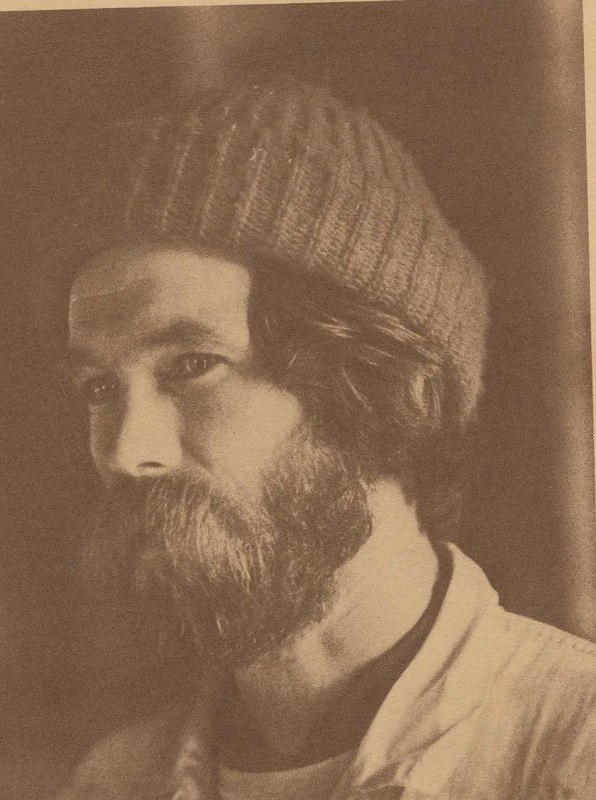 The following interview with Coastside carpenter, Paul James written by Bill Hendricks, appeared in Transitions, Montara to Pescadero, an oral history (1977), inspired and edited by Canada College teacher Aida Hinajosa. Photo of Paul James by Katie Murdock. In the 1800s a man named James Johnston came to settle in the area now called Half Moon Bay. He came to build his dream house and to take part in the history of California. His house’s construction and the varied ways he brought in his building materials to the isolated area seemed rather bold and unheard of to the local inhabitants. His stylish Victorian lifestyle and his determination to realize his life-long ambition earned him a very noteworthy mention in this area’s folklore. In the shadow of this great American pioneer now comes another man, who, like Johnston, has started his “dream house.” Although years of change in society and lifestyles have taken place, Paul James of Montara, California, still adheres to Johnston’s philosophy of hard work and blind ambition to see his vision through. Paul’s aptness in the fields of carpentry and architectural design are evident in his Victorian creation a few yards off Highway One in Montara. As the rough frame and outside shell are painstakingly assembled, Paul, his volunteers and his friends sign the masterpiece with their methodical attention to detail in reproducing a Victorian house. Being a long-time lover of Victorian construction and the beauty of that time which so rapidly disappeared, Paul has retained a high degree of polish that accompanied that age. Starting with his own basic thoughts of what his idea of a house should be and interlacing them with his observations of California Victorian construction, Paul is carving out his own niche in coastside history. Not only is the house of his own particular design, he also intends to do most all of the construction himself. His method of securing used building materials from salvage jobs in Oakland and San Francisco closely parallels the unorthodox ways of the legendary Johnston himself. Working with limited financial resources, Paul purchased his land with a low down payment and a self imposed voluntary servitude to his carpentry work in order to start this colossal task of his dream house. He purchased a small flatbed truck, a chain saw, wrecking bars, and other pieces of demolition equipment and went out to secure his building materials. The complexity of the house’s design itself lends to the overall beauty of the Victorian. Paul’s plans for his witch’s tower for observing ships at sea and other elaborate, ornate construction all remind us of that forgotten age of craftsmanship when time was taken to insure the quality of the work. As Paul talks of his fascination of the Victorian period and its charm and romanticism, one can feel the excitement within him which pushes him on to complete this monumental project. Being a carpenter and ship builder by trade, he has earned notoriety in building this house and with it has come offers to do specialized wood construction which constitutes the financial support needed to live on and to perpetuate his aspiration. Paul can truly be considered a pioneer and leader in his search for new ways to invest his life with a worthwhile project regardless of his financial circumstances or mode of living. He indomitably develops varied new ways to pursue his interests. His lifestyle and his warm and friendly personality provide a welcome change from the typical everyday madness we all seem to bring on ourselves in the fast pace race to live higher-on-the-hill than the other person. He assimilates his modern technology into the meticulous attention of a craftsman of the Victorian Age. He has set out to recapture that lost sense of quality and concentration of detail which is now often sorely missed in home construction today. Paul’s plans for living in the house and his tentative plans for the building of a sailboat and possibly the construction of another Victorian for someone else all show us his belief that physical work stimulates the body and the concentration provides the much needed escape from life’s modern day problems. Paul and his small band of faithful workers are all proud of what they are accomplishing–and without blowing their own horns about it. They have sought to break away from the plastic world which surrounds them and to occupy themselves with a notworthy and worthwhile project.